Amazing wildlife photographer is taking a stand, fighting for the wildlife! As the world becomes more industrialized, one important thing always gets to suffer— the environment. Unfortunately, the environment always suffers whenever the economy of a country is developing and growing. More forests will be demolished in exchange for buildings and structures. And this is what’s happening in China right now. Gladly, a photographer is taking a stand against this. 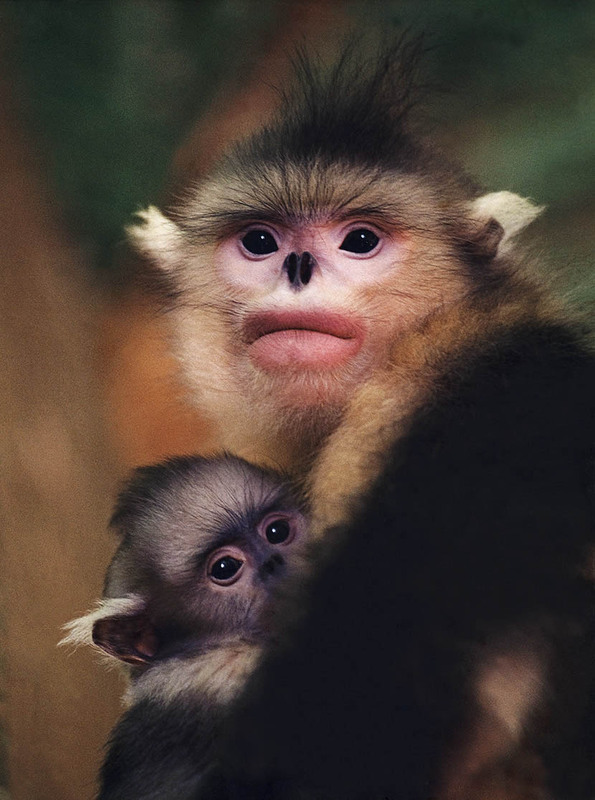 In 1995, the government of southwestern China’s Yunnan province announced plans to cut down a forest that was home to more than 200 snub-nosed monkeys, an endangered species rarer than the giant panda. But they hadn’t counted on Xi Zhinong. At the time, Xi worked in the publicity department of the Yunnan Forestry Bureau and had been documenting the monkeys for several years. Doing everything possible to save the monkeys’ habitat was an instinct, he said. He gave interviews to the media, campaigned against the project, tirelessly appealed to his superiors, and even penned a complaint letter to the State Council, China’s cabinet. In the end, the forest was saved, but Xi was pressured to resign from his job for his disobedience. 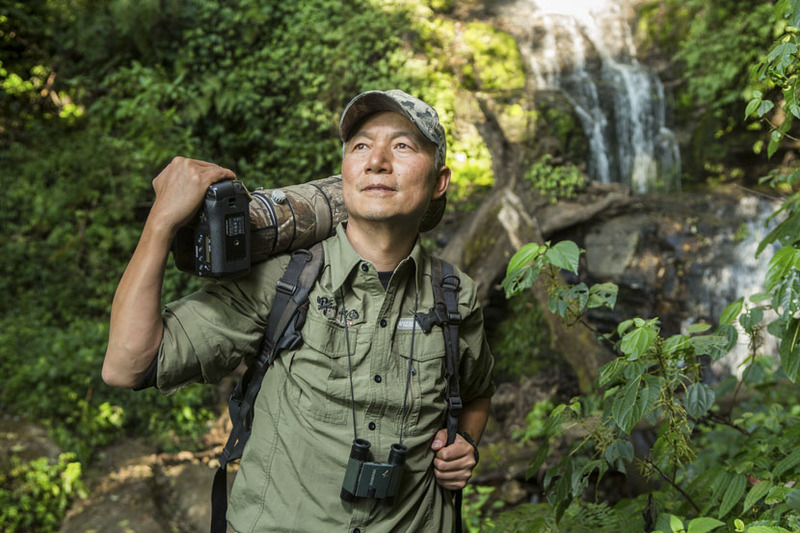 His passion turned into a profession, and today, Xi is one of China’s most renowned wildlife photographers. He has won international recognition for his documentaries on the elusive Yunnan snub-nosed monkey, including an Emmy Award nomination, and was named the BBC’s Wildlife Photographer of the Year in 2002. Xi also runs Wild China Film, a nonprofit organization that promotes wildlife photography and protection. Speaking to Sixth Tone in a video chat from his office high up in the Yunnan mountains, Xi commented on his obsession with the snub-nosed monkey, his efforts to advance wildlife protection, and what he thinks of China’s animal protection law. The interview has been edited for brevity and clarity. Sixth Tone: You said you first decided to study photography in the ’80s, when you were a student and joined the Yunnan University team filming the documentary “Bird’s Heaven.” Why did this experience inspire you to learn how to photograph and film birds? Xi Zhinong: The way they made the film was unbearable. A teacher from Yunnan University who was the advisor for the documentary carried a shotgun with him. He shot the birds and collected them to use as specimens. A photographer who had no experience filming birds called on some villagers to catch birds, and they tied the birds’ legs to a tree to film them. They also filmed a specimen standing in the grass, pretending it was a real bird. I could not stand the way they filmed the birds and decided to learn photography so I could film birds that fly freely in the sky. Sixth Tone: A Chinese researcher recently discovered a new species of ape on the Tibetan Plateau and named it “Skywalker.” But hasn’t Wild China Film been photographing this ape for years, as part of a training camp that educates the public on wildlife photography and wild animal protection? Xi Zhinong: It surprised me that our old friend, who we thought was Hoolock leuconedys [the eastern hoolock gibbon], turned out to be a new species in the Hoolock genus. My colleagues and I started our training camp 12 years ago, in 2004. As the organizer and instructor, I work at the camp every year. Originally, it was meant for training university scholars, researchers, and front-line nature reserve workers. The first year, staff at Gaoligong Mountain Nature Reserve [in northwestern Yunnan] attended our camp. With the equipment and help we provided, they captured the first picture of the ape we now recognize as “Skywalker.” Fan Pengfei, the leading researcher of the team who discovered the new species, had also planned to participate in our first camp, but he was sick at the time. When we started accepting attendees with no professional background [in the field], the demographics of our campers became really interesting: top managers of foreign companies, lawyers, architects, teachers, journalists, students. The youngest was still in primary school [with parental supervision], and the oldest was a 60-year-old photographer. Sixth Tone: You met Britain’s Prince William and have worked with many celebrities to promote the protection of animals. How much has media exposure helped your efforts? Xi Zhinong: I met Prince William when he visited Yunnan in 2015. The same year, the Canadian ambassador visited my office in Dali, my hometown in Yunnan. But this kind of media exposure did not help with fundraising for Wild China Film. Once you’ve stepped forward, it is very hard to hide behind the camera again. Many would think, given the fame and influence of Wild China Film, it does not have to worry about how to survive as a nongovernmental organization. But we only received our first corporate donation in 2011, more than a decade after we were established. I feel sorry that we are not turning this [attention] into a source of development — I am just not very good at that. Sixth Tone: How have you managed to maintain a balance between photography and documentary? What plans do you have for future projects? Xi Zhinong: Photography is for lone wolves, but to produce a documentary, good teamwork is essential. Most of the time, I use two sets of cameras so I can take photos and record videos at the same time, as every filming opportunity is so precious, and I don’t want to miss anything. 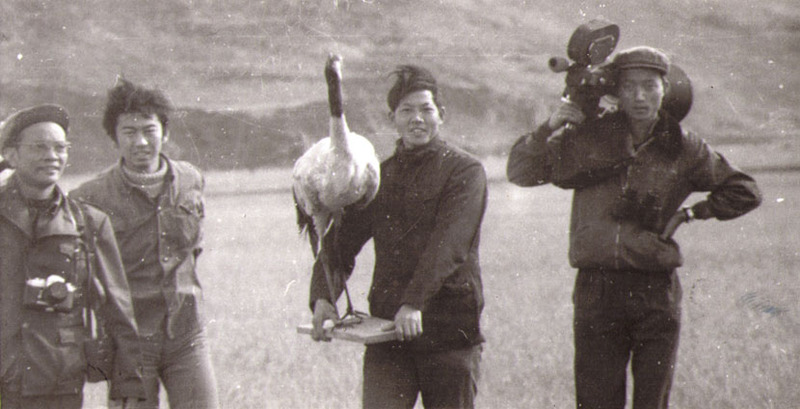 When I worked for [CCTV nature show] “Animal World” in 1990, I carried two boxes of film and a heavy camera all the way from Beijing to Yunnan by myself. In 1992, I filmed snub-nosed monkeys with a camera that weighed 7 kilograms. Thanks to the development of technology, it is now easier. For my future documentary plans, [filming on] the Tibetan Plateau is an important goal. 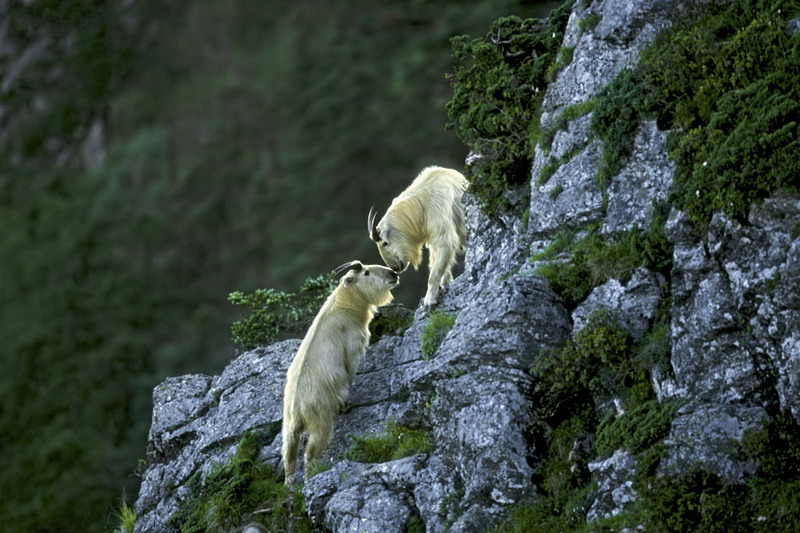 Besides snub-nosed monkeys, the Tibetan antelope is also a species I care deeply about. Using photos and videos to promote nature protection in China has always been the mission of Wild China Film. We have realized that in the era of internet, film and documentary are the most effective ways to raise public awareness of wildlife protection. Wild China Film is launching its version 2.0, including live broadcasts of training camps, more documentaries, and possibly short videos that can be viewed and shared on the internet. Sixth Tone: What is the current state of animal protection in China? Because of the law, wildlife farms are everywhere in China. I still remember how shocked I was when I saw that there was a department within the China Wildlife Conservation Association that is responsible for the wildlife “industry,” in which wild animals are bred for commercial purposes. Photography is for lone wolves, but to produce a documentary, good teamwork is essential. While public awareness of wild animal protection is rising, and the media is reporting actively on these issues, the government has not caught up with the trend but rather acts against it. This is the most ridiculous thing. In 2015, I attended a meeting organized by the State Council’s Development Research Center for a conference on the amendment of the wildlife conservation law. I talked about photos of Chinese wildlife farms and circuses displayed by a British photographer at the 2012 Wild Photos [a gathering held by the U.K.’s Royal Geographical Society]. Every photo was heartbreaking and horrific. I was never again invited to such a meeting. Later, the amended conservation law came out [and took effect on Jan. 1, 2017], and I see no actual progress in it. Sixth Tone: In March, you began advocating for the protection of the green peafowl, whose habitat in the Red River region in Yunnan is endangered by a hydropower station. Why? Xi Zhinong: Seventeen years ago, I took a picture of green peafowls in the Lancang River Basin. When I went there again in February, I learned that the hydropower station has led to the extinction of green peafowls in this area. When I learned about the ongoing dam construction in the Red River Basin in early March, we immediately wrote an article for our social media account, which received 2 million views. I went down to the site to investigate the status quo and the threats green peafowls are facing. We are also preparing a biodiversity investigation of the area. Many media and nonprofit organizations have responded to our call for the protection of green peafowls, and we have written a joint letter to the Ministry of Environmental Protection to appeal for the suspension of dam construction. For me, the green peafowl is a species that, along with the Yunnan snub-nosed monkey and the Tibetan antelope, needs urgent protection. 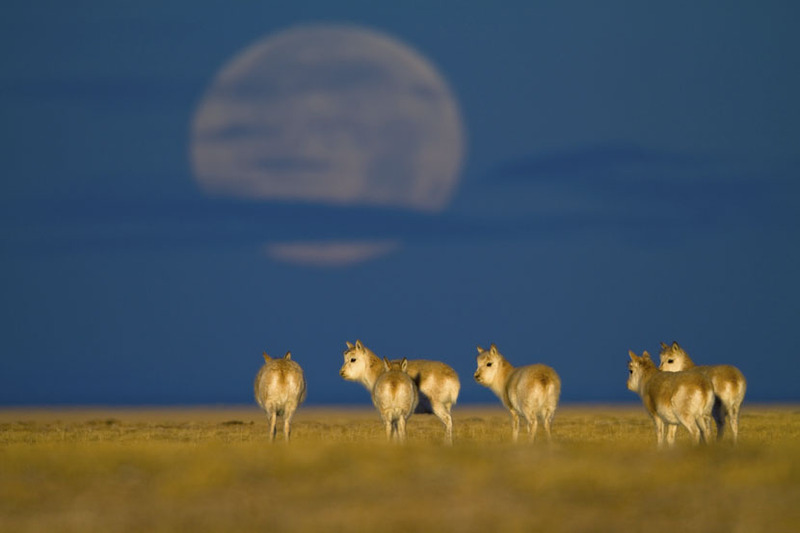 Sixth Tone: What does it take to be a wildlife photographer in China? Xi Zhinong: To be a wildlife photographer in China, you have to shoulder great responsibilities. I am lucky that I get recognized by the outside world, but in China, the decision to become a professional wildlife photographer still requires great courage and devotion.